Merchant, MLA (1879-1883), MLA (1883-1886), MLA (1886-1888), MLA (1888-1892), Premier of Manitoba (1888-1900), MLA (1892-1895), MLA (1896-1899), MLA (1900-1903), MLA (1903-1907), MP (1904-1908). Born at Cornwall, England on 25 March 1838, the eldest son of Thomas Greenway and Elizabeth Heard, he came to Canada with his parents in 1844, and was educated in the public schools of Huron County, Upper Canada (now Ontario). For many years he was a general merchant of Centralia, Ontario. He was elected Reeve of the township in 1867 and served in that capacity for ten years. He was an unsuccessful candidate for South Huron at the general elections of 1872 and 1874. He was elected for the riding on 11 February 1875 by acclamation and went to Ottawa as an Independent. He sat until the close of the 3rd parliament in 1878, when he declined renomination. The same year he moved to Manitoba and bought a farm of 800 acres. He returned to Centralia, Ontario, and spent the winter urging his friends to go west. He made arrangements for excursion trains to Manitoba in the spring. During that winter, he organized the Rock Lake Colonization Company. In the spring, Greenway and seven other men of the Company travelled to Emerson and then ninety miles west to Crystal Creek. In the summer of 1879, Crystal City was founded. Over the next three years, he brought out more settlers and built the store, church, school and homes which the community needed. 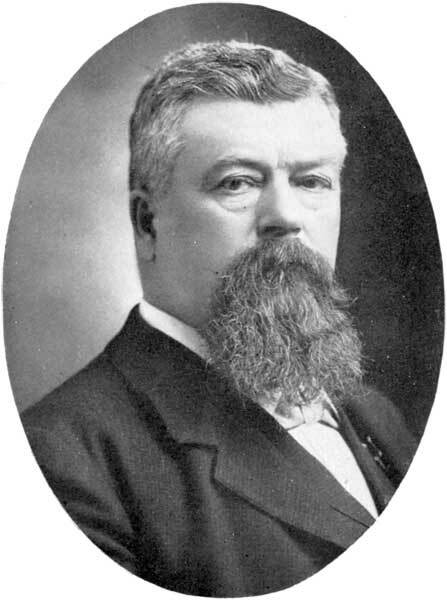 In 1879, Greenway was elected to represent Mountain in the Legislative Assembly of Manitoba, sitting as a Liberal, and was re-elected or acclaimed in 1883, 1886, 1888, 1888, 1892, 1896, 1899, and 1903. In 1887, he became leader of the Liberal Opposition in the Assembly. On 19 January 1888, Dr. D. H. Harrison, the Premier, together with his colleagues, resigned, and the Lieutenant-Governor called upon Thomas Greenway to form a government. He served as Premier until 1900. He was the successful candidate in the 1904 federal general election. His legislation, as leader of the Manitoba Government, included a number of notable achievements such as the settlement of the Manitoba separate schools question, and negotiations with Ottawa which resulted in the total abolition of disallowance with regard to Manitoba and the North-West Territories through a new arrangement of terms with the Canadian Pacific Railway. In 1904 he returned to Ottawa after being elected to represent Lisgar in the House of Commons. In 1908 he retired to accept an appointment as a member of the Board of Railway Commissioners. He was married twice, first to Annie Hicks (?-1875), in January 1860 and, in 1877, to Emma Essery (1855-1934). He had nine children: Emma M. Greenway (1863-? ), Ida Jane Greenway (1869-1949, wife of David James Wright), Edward Thornton Greenway, Harry Harvey Greenway, Ralph Waldo Greenway (1881-1948), Elmo George Greenway (1884-? ), Earl J. Greenway (1884-1967), Eva Grace Greenway (1886-1975), and Hazel Kirke Greenway (1890-?, wife of Edwin Aaron Savage). He was an uncle of John Franklin Greenway. Greenway died at Ottawa, Ontario on 30 October 1908 and was buried in the Greenway Cemetery. He is commemorated by Greenway Crescent and Greenway School in Winnipeg, Thomas Greenway Middle School in Crystal City, and he was inducted to the Manitoba Agricultural Hall of Fame. There are extensive papers at the Archives of Manitoba. Thomas Greenway by Manitoba Historic Resources Branch (1984). The Political Career of Thomas Greenway by Joseph Hilts (1974). Thomas Greenway by Keith Wilson (1985). Thomas Greenway, Dictionary of Canada Biography XIII, 416-23. “Thomas Greenway, 1888-1900 ” by James Mochoruk in Manitoba Premiers of the 19th and 20th Centuries, edited by Barry Ferguson and Robert Wardhaugh, Canadian Plains Research Centre, 2010. “Mrs. Thos. Greenway, widow of former Premier, is dead,” Winnipeg Free Press, 12 November 1934, page 3. Obituary [Eva Greenway], Winnipeg Free Press, 22 November 1975, page 42.